As I’ve said on more than one occasion, my preferred point of view, from a writing standpoint, is the third person. For Nocturne, I experimented with a first-person narration, and I have to admit that I did like it. It was fun, and I might try it again sometime. But the third makes up the majority of my writing, as I’m sure it does for most authors. Specifically, for me, this is a “limited” third-person perspective: the narration has no knowledge outside that of the character in focus. Others might prefer the omniscient narrator, but I don’t particularly care for it (again, speaking only for my writing). Why? It’s hard to say, but I’ll give it a shot. First and foremost, I do like to be challenged. That’s why I went with the first-person perspective for Nocturne, and it’s why I have no fewer than five current serials in various stages of development at the moment. Writing from a limited point of view is a challenge, because you have to consider how much a specific character knows. They won’t be able to read others’ thoughts (unless that’s the kind of story you’re writing), and they can only guess at emotional responses. That brings me to the second point: the unreliable narrator. To be honest, it’s a bit of a crude rhetorical device, but it can serve a purpose when used judiciously. But you really can’t pull it off with an omniscient perspective. I mean, you can try, but I’m not sure it can be believable. If it’s clear that the unspecified narrator knows what lurks within the hearts of all the characters, how can that narrator then turn around and say, “Oh, no, I must have misremembered,” or words to that effect? That’s not unreliable—it’s outright lying! Next on the list is kind of a combination of the previous two points. Writing from the character’s perspective, even if outside his thoughts, gives me a focus. It lets me tailor the narration to that specific character. Maybe they aren’t unreliable, but they do have their own lens through which they view the world. Here, I’ve written enough to provide examples. Some aren’t published yet, but that’s okay. They will be. Kellis (Nocturne): Kellis is basically a fantasy cop. Her thoughts run along those lines, and narration follows along behind. Her chapters talk a lot about crime, discipline, order, etc. Alex (Chronicles of the Otherworld): Alex is a nerd, geek, or whatever your favorite term is. (Basically, he’s me.) He’s also very rational, so his narration tends to focus on science and hard facts, rarely delving into speculation, but often argument. Jarra (Lair of the Wizards): Being only eight years old at the start of the story, Jarra is tricky to write, but also unbelievably fun. Her parents are always referred to as “Mom” and “Dad”, she uses lots of emphasis on words, and the inner voice that is her narration is not above pouting. Tod (Linear Cycle, Part 6: The Final Sacrifice): Tod lost his family, then watched as one of his last friends turned into a zombie, while her sister essentially killed herself in response. He’s deeply troubled, and he’s 17 years old. He’s going to be angsty, emotional, irrational, and I tried to make the writing reflect that. With an omniscient perspective, I don’t think I could have pulled these off. My writing style simply depends on being closer to the characters than that perspective allows. On the other hand, I have to admit that it does provide opportunities that my limited style doesn’t. For one, it’s really hard for me to do quick “flashes”, changing focus back and forth between characters. That’s why my writing tends to either have one POV (the Linear Cycle stories) or one per chapter (pretty much everything else). I did manage a few scene-break swaps in Before I Wake, and the finale for Chronicles of the Otherworld uses those exclusively, but inside a scene? Can’t do it. Similarly, limited perspective is, well, limited. The same factors I spun as advantages above can become disadvantages in certain stories. Maybe you do need to show the inner thoughts of more than one character at a time. Maybe the story works better if it’s told by an all-seeing narrator. I don’t know, as I really don’t write that sort of fiction. I realize that’s a bit of selection bias: since I don’t write omniscient, what I write doesn’t make use of its advantages. That’s just my personal style, though. Until last year, I didn’t think I could write something in the first person, either. I proved myself wrong, didn’t I? (Well, even Nocturne isn’t completely first-person.) So maybe I just need to try it out, and maybe I will at some point in the future. (Hey, that might be something for November!) Until that day, I don’t mind working within my limitations. They’re not that bad. The Linear Cycle continues with its third installment, “Forged in the Fires”, out today. It’s a tale of love and loss, of survival against the odds, of hardship. And it is the story of one Hella Varens, wife of Kalle, who should be familiar to you. She moved in a different direction from the last captain, and now she wonders: can she ever get back? With this part, the series is at its halfway point, and it shows. This is definitely a more drama-oriented story, and the Touched aren’t nearly as prevalent. Instead, you see living people, people trying to live when so many around them have died. When I first started “Either Side of Night”, I never expected to write something like this one, and I know I never intended to write an ending as moving as “Forged in the Fires” has. As always, the link above takes you to the story’s page here. It’s available on the Kindle store for 99 cents, or you can subscribe to my Patreon to gain access to “Forged in the Fires”, the rest of the Linear Cycle, and all my other stories. Part 4 is “Beneath the Surface”, and you’ll get to see it July 17. Until then, stay tuned! Making a language is hard work. As anyone who knows programmers knows, hard work is not something we like. Not hard work that we have to do ourselves, that is. If we can find a way to get a computer to do it for us, well, that’s entirely different. On the surface, it seems pretty simple. Language creation is a lot of time-consuming, repetitive work. We have to make hundreds or thousands of words. We have to work out grammatical rules. The list goes on, and it’s almost a sure thing that, at some point, the computer-savvy conlang creator is going to ask, “Can I automate this?” And thus is random generation born. It’s not that bad an idea, if you do it right. Computers are a lot faster than the human mind when it comes to such things. They can generate a million random words in the time it takes us to think of one. So shifting some of the burden to the uncaring machines seems almost natural. After all, they come up with random numbers all the time, don’t they? So what’s the difference. For words, it’s not even that big a deal. If you’re working with an artistic conlang, or something otherwise not bound by the sequences of sounds used by natural languages, there’s almost no reason not to randomly generate at least some roots. Not whole words, mind you, because they won’t necessarily fit the grammatical and morphological patterns of your language. No, it’s better to generate the basic roots, then inflect them however your conlang does that—if it does at all. Word generators are easy enough to find, and they aren’t all that hard to make. (I’ve done it no fewer than four times.) Most of the good ones—not mine—give you a lot of nice options. They let you do frequency distributions, so some sounds are more common than others. A few even provide variable substitution, syllabic constraints, allophony, and you get the idea. I won’t say that random word generation is a solved problem, but it’s definitely not new. If the circumstances of your conlang allow it, and you think you can get good results, go for it. At other levels, random generation is a bit more iffy. Gleb is a part of an (abandoned?) attempt at randomly creating every part of a language; the link goes to a phonology generator, which…works. It’s a start, though, not an end result. I used a few of its outputs as the initial seeds for the conlangs of my “Otherworld” setting, but all of those required a lot more polish before they were anything approaching usable. It’s also possible to generate random grammar rules and the like, but the field is so vast, and the different parts of a language so interwoven, that I’m not sure you could ever write a program that could give you something plausible. If you could, you’d probably be halfway to strong AI already. I’d like to see it, though. On the flip side, random conlang generation has an awful lot of downsides that make the process unsuitable in a lot of instances. First and foremost, any conlang intended to be an auxiliary language almost certainly can’t use randomness at all. It simply doesn’t fit the criteria. These languages are supposed to be either familiar to a broad population, simple enough for anyone to learn, or engineered based on linguistic principles. None of that really meshes well with random words, much less any other part of a conlang. Second, unless you’re willing to go through a lot of trouble, the output of a generator isn’t always that great. Yes, the numbers it uses internally will likely be entirely random, but mapping those numbers to letters, phonemes, words, etc., in a way that doesn’t look, well, computer-generated, is an exceedingly difficult task. Take any of those word generators I mentioned above. Sure, you can get a good list out of them. More likely, however, you’re going to be looking at thousands of nonsense letter sequences that do nothing but waste your time. Next, as I said above, most of the grammatical portion of a conlang isn’t really amenable to randomizing. Language structure is so full of causation and correlation, of universals and implications, that it’s just not that random. It’s more like a chain of logic, but with a few forks in the road that give the creator a bit of leeway. You don’t have to, say, have a past tense just because you have a future one, but it’s more common if you do, and random generators would have to account for that. In the end, there are so many variables, so many special cases, that the programmer effectively has to make a language just for the generator. If you consider a created language to be an artistic work, then part of its allure is in the way it is crafted. We, the makers, choose words based not on algorithms, but aesthetics. It’s a more…philosophical argument, in my opinion, but I can see the reasoning. In summary, my thoughts on the subject are as follows. Use random word generators if your conlang supports them. Don’t use them for anything where roots have to be derived from some other principle than your own mind. A phonology generator can be a good starting point, but not a finished product. Generators claiming to create grammar and the like for you probably aren’t going to give you something sensible, much less usable. That’s not to say you can’t have fun with random generation. It is fun, and I can’t count the number of names I’ve used that ultimately derive from a list created by a computer program. (Some have even been published! Well, they will be in the coming weeks.) It’s not yet a substitution for the hard work of our minds, however, and it may never be. By the time a computer can create a language from nothing more than a random sequence of numbers, we may have bigger problems than conlangs becoming a commodity. 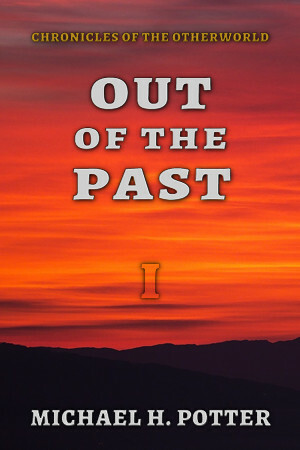 Over at my Patreon, you may have noticed a recent release, entitled Out of the Past. It’s a short novel (or long novella, whichever you prefer) I originally wrote back in 2013, then updated over the past year or so, and it is the first in what I hope is a long line of stories which take place in the fictional setting I call the Otherworld. By the time this post goes up—assuming nothing bad happens in the weeks since I wrote it—I’ll have written a total of 14 works in this setting: the 8 original novels of Chronicles of the Otherworld and a collection of six side stories, A Bridge Between Worlds. Back here at Prose Poetry Code, I’d like to delve a bit deeper into the inner workings of this particular creation. Begin at the beginning, they say, and the Otherworld began a few years ago, sprouting from a two-headed seed. First, I was a bit upset at the cancellation of Stargate Universe (just as it was getting good), which left no real “exploration” sci-fi on television—there’s still not much there, by the way. Second, I like inventing languages, and I had recently begun looking into the cultures that would speak those languages. Otherworld brings together both of those ideas. The story itself is pretty unspectacular: a bunch of college kids get sent to a medieval-style world, where they have to find a way to survive until they can come home. I originally built the world as a playground for my conlangs, as well as a chance to write a story involving exploration, first contact, culture shock, and other such notions. The whole thing is about being taken out of your comfort zone, and the Otherworld saga has, over the course of four years and half a million words, evolved greatly from that point. I sincerely hope it’s for the better. As I said, the first part, Out of the Past, was written in November 2013, although it didn’t have a title back then. I even went on to write two and a half more parts (I call them episodes, as the format is meant to mimic a TV series) after that, but I’ll freely admit that they were awful. Halfway through Episode IV, I gave up. I was bored with the setting, and I wanted to move on. So the Otherworld went back onto the shelf, and I thought little more about it for a year and a half. In 2014, I wrote Before I Wake, as you may know. After that, I started looking through my notes and ideas for something new. At first, I settled on the beginning of what has become the Linear Cycle, plus the “Miracles” short story I’ve put up here at the site. Then, I digressed into the unfinished work currently titled Lair of the Wizards. That one was the key, I think. Its setting was almost a mirror image of the Otherworld: a bunch of kids in a medieval world find a cache of advanced technology that they see as magic. A kind of novel-length restatement of Clarke’s Third Law, if you will. But writing that got me thinking of the other way around, of the advanced people going to the primitive world. Well, I already had one of those in the works, so why not? So the end of 2015 saw me heading back into the Otherworld, but things were different now. All along, I’d had the idea that the fictional world was connected to Earth. It had to be, for how else would the characters get there? And if it was connected, then it was always connected, which served as a neat explanation for how the inhabitants could get there. More importantly for story purposes, it was the perfect excuse for how they could be human. The people of the Otherworld are human. That was an ironclad rule I had when I first devised the setting. They weren’t aliens, even if some of them were a bit…altered. (The idea of different races of genetically modified humans actually came about very early on, partially from the D&D campaign my brother and I have made.) But the humans had to get there somehow, and thus I had to begin filling in the backstory. Again, I did a lot of this back in 2013. It was then that I worked out the sketch of a timeline for the setting’s prehistory. The timing is just barely within the realm of believability, and it’s even within the margin of error of our current archaeological knowledge. But I had to go back and change a lot of specifics to match my assumptions. After a bit of editing work on Out of the Past, mostly to make it match my new findings, I started on the second episode, The City and the Hill. According to my notes, I finished the first draft on November 26, 2015. The next three followed in quick succession, then I took two months off in May and June of 2016. 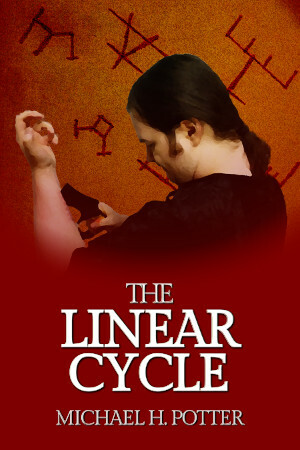 (That was for the Linear Cycle and Lair of the Wizards, in case you’re wondering.) The final three parts of “Season 1” took up the summer months, ending on September 25. Even when I was writing the final words of Episode 8, Long Road’s End, I didn’t think I was done. Oh, no. The Otherworld is more than just these eight stories, and it was like that all along. I’d intended from the start to write a second season, a new set of stories that would build upon the foundation that these laid down. The way I wrote, however, meant that I needed something to bridge the nine-month gap that the stories’ structure required. Thus came A Bridge Between Worlds. This is a story spoiler, so be warned. Some of the characters do not end Episode 8 on their home planet. The bridge novellas were intended to tell their stories. Well, five of them do. The sixth (actually, the third in sequence) ties up a few loose ends from Season 1 while setting the stage for events in Season 2. And that is coming, if I have anything to say about it. I’d like to start writing it later this year, but we’ll have to see. In the coming months, I’ll talk a lot more about the Otherworld setting. It’s my favorite creation, and there have been times over the past four years where I’ve lost myself completely in it. I’ve thought about it in the shower (where some of my best plots and character moments are born). I’ve dreamed about it. I don’t want to give it up, and I know that the world still has more to give. Some authors have a whole shared universe for their works, but I’m content with a single planet, a single world. Very recently, a milestone was reached, an important goal in the study of chemistry. The seventh row of the periodic table was officially filled in. Now, almost nobody outside of a few laboratories cares anything about oganesson and tennessine (nice to see that my state finally gets its own element, though), and they’ll probably never have any actual use, but they’re there, and now we know they are. Especially in science fiction, there’s the trope of the “unknown” element that has or allows some sort of superpowers. In some cases, this takes the form of a supposed chemical element, such as the fictitious “elerium”, “adamantium”, or even “unobtainium”. Other works instead use something that could better be described as a compound (“kryptonite”) or something else entirely (“element zero”). But the idea remains the same. So this post is a quick overview of the elements we know. As a whole, science is quite confident that we do know all the elements in nature. Atomic theory is pretty clear on that point; the periodic table has no more “gaps” in the middle, and we’ve now filled in all the ones at the end. But element 118 only got named in 2016, and that’s proof that we didn’t always know everything. The classical idea of “element” wasn’t exactly chemically sound. We know the Greek division of earth, air, fire, and water, a four-way distinction still used in fantasy literature and other media; other cultures had similar concepts, if not always the same divisions. But they also knew of chemical elements, particularly a few that occur naturally in “pure” form. Gold, silver, copper, tin, and lead are the ones most people recognize as being “prehistoric”. (Native copper is relatively rare, but it pops up in a few places, and most of those, coincidentally enough, show evidence of a bronze-working culture nearby.) Carbon, in the form of charcoal, doesn’t take too much work to purify. Meteorites provided early iron. Sulfur can be found anywhere there’s a volcano—probably a good reason to associate the smell of “brimstone” with eternal punishment. And don’t forget “quicksilver”, or mercury. We’ve also got evidence of bismuth and antimony known in something like elemental form. Both found medicinal uses, despite being quite toxic. (Mercury was the same, and it’s even worse, because it’s a liquid at room temperature.) And then there’s the curious case of platinum. Some evidence points to it being used on either side of the Atlantic in olden times, which is good news for the fantasy types who need a coin more valuable than gold. For most of Western history, chemists—or what passed for them—tended to focus on compounds rather than isolating elements. However, there were a few advances on that front, too. Albertus Magnus separated arsenic from its compounding partners in the 13th century, much to the delight of poisoners everywhere. Elemental zinc is also an alchemical discovery in Europe, though a few records point to it being made far earlier in India. Around this time, the very definition of an element was in flux, especially in medieval and Renaissance Europe. You still had the Aristotelian view of the four elements, broadly supported by the Church, but then there were the alchemists and others working on their own things. Some of the questions they considered led to great discoveries later on, but the technology wasn’t yet ready to isolate all the elements. So, in this particular age (conveniently enough, the perfect era for fantasy), there’s still a lot left to find. Henning Brand gets the credit for discovering phosphorus, according to the book I’m looking at right now. That was in 1669, almost a century and a half after Paracelsus possibly experimented with metallic zinc, and a full four hundred years after the last definitive evidence for discovery. The next on the timeline doesn’t come until 1735: cobalt. Those opened the floodgates. By this point, you could hear the first stirrings of the Industrial Revolution, and that brought advances to the technology of chemistry. The more liberal academic climate led to greater experimentation, as well. All in all, the late 18th century was the beginning of an element storm. Thanks to electricity, the vacuum, and numerous other developments, enterprising chemists (no longer alchemists at this point) started finding elements seemingly everywhere. It’s this era where the periodic table is a bit of a Wild West. Everything is up in the air, and nobody really knows what’s what. Indeed, there are quite a few mistaken discoveries in the years before Mendeleev, some of them even finding their way into actual chemistry textbooks. In most cases, these were simple mistakes or even rediscoveries; there were a few fights over primacy, too. But it shows that it wasn’t until relatively recently that we knew all these elements couldn’t exist. Once the periodic table became the gold standard for chemistry, finding new elements became a matter of filling in the blanks. We know there’s an element that goes here, and it’ll be a little like these. So that’s how we got most of the rest of the gang in the late 1800s through about 1940 or so. Ever since nuclear science came into existence, we’ve seen a steady stream of new elements being created in particle accelerators or other laboratory conditions. Strictly speaking, that began in 1937 with technetium (more on it in a moment), but it really got going after World War II. Over the next 70 years, scientists made from scratch a couple dozen new elements, none of which exist in nature, most tearing themselves apart within the barest fraction of a second. Nuclear physics explains why these superheavy elements don’t work right. The way we make them is by forcing lighter elements to fuse, but that leaves them with too few neutrons to truly be stable. The island of stability hypothesis says that some of them could actually be stable enough to be useful…if we built them right. So, even though there’s no more room on the periodic table (unless Period 8 turns out to exist), that’s not to say all those spots along the bottom row have to disappear in the blink of an eye. Last but not least, there are a few weirdos in the periodic table, and these deserve special mention. Two of them are quite odd indeed: technetium and promethium. By any reasonable standard, these should be stable. Technetium is element 43, a transition metal that should act a bit like a heavier manganese. No such luck. Due to a curious quirk in atomic structure, 43 is a kind of “magic number”. An atom with 43 protons (which would be, by definition, technetium) can never be fully stable. At best, it can have a long half-life, and some isotopes do last for tens of thousands of years, but stable? Alas, no. Promethium, element 61, is the same way, for much the same reason. Depending on who you ask, we’re either at the end of the periodic table, or we’re not. Some theories have it running out at 118, some say 137, and one even says infinity. The patterns are already clear, though. If there’s no true island of stability, then most anything else we find is going to be extremely short-lived, highly radioactive, or both. Probably that last one. Today, then, there’s not really the possibility for an “undiscovered” element. We simply don’t have a place to put it. That doesn’t mean your sci-fi is out of luck, though. There could be isotopes of existing elements that we don’t have; this is especially true of the transuranic elements. More likely, though, would be a compound not seen on Earth. A crystal structure we don’t have, or an alloy, or something of that sort—a novel combination of existing elements, rather than a single new one. And then you have the more bizarre forms of matter. Neutronium (the stuff of neutron stars), if you could make it stable when you don’t have an Earth mass of the stuff packed into something the size of your house, would be a true “element zero”, and it may have interesting properties. Antimatter atoms would annihilate their “normal” cousins, but we don’t know much about them other than that. You might even be able to handwave something using other particles, like muons, or different arrangements of quarks. These wouldn’t create new elements in the traditional sense, but an entire new branch of chemistry. So don’t get discouraged. Just because there’s no place on the periodic table to put your imaginary elements, that doesn’t mean you have to choose between them and scientific rigor. You just have to think outside the 118 boxes. Human speech is a fascinating thing. We know that babies can learn to speak any natural language—those languages wouldn’t exist otherwise—and most conlangs are also designed to be learned and spoken. In short, any human can pronounce any human sound. There’s nothing really stopping us except our own received cultural strictures. Now, if you’re in the business of making languages that sound “weird”, you can use this simple fact to your advantage. Many natural languages have strange sounds in their phonemic inventories. Some are shared with their close relatives, a few are more widespread, and then you have those that occasionally develop in isolation. Whatever the case, adding in some of these sounds is a surefire way to create something very different. So this post is a brief survey of some of the odder parts of the IPA, all of which appear in one or more spoken human languages presently in existence. None of these, therefore, is truly “alien”. Indeed, we’ll start with a pair you already know. The dental fricatives come in a matched pair, voiced /ð/ and voiceless /θ/. Both are fairly rare, as phonemes go, yet pretty much everyone in the world has heard them spoken, because they’re both present in English. To make matters worse, they’re both written the same way in our language: th. Yep, we English speakers are in the minority here, as far as language numbers go. As far as population goes, on the other hand, it’s a different story. English has them, and so do standard Arabic, Castilian Spanish, Greek, and a few other big names. On the other hand, we’re far outnumbered by those who lack the th sounds, including such notables as German and French. (That’s the source for their stereotypical accents.) Most other languages with dental fricatives are relatively small, and quite spread out. When people think of “weird” sounds, the clicks are usually near the top of the list. These are only common as phonemes in sub-Saharan Africa, and even there they are absent from most language families. They’re omnipresent in Khoisan, and most of the other languages where they appear seem to have borrowed them from there. Even if you’ve never heard someone speaking Zulu or Xhosa, however, you’ve probably heard (and even used) clicks before. The chiding or disapproving “tsk” sound is, in fact, the dental click /ǀ/. The sound you make to get a horse moving (I assume, as I’ve never had to do that) is a lateral click /ǁ/. The trick, then, is learning to pronounce those in sequence with more “normal” phonemes. That’s a lot harder, and it’s one reason why nobody outside of Africa bothers to learn such languages. Most languages with clicks will have a set of them, and there are far more than those two above. Search around for audio clips of people pronouncing them, and see how familiar they are if you forget they’re part of a “weird” language. It’s possible to pronounce a sound that has two articulations, meaning that there are two places in the mouth where there is contact. Mostly, this is a combination of labial and velar, coming in voiceless /kp/, voiced /gb/, and nasal /ŋm/ varieties. These tend to show up in Africa (such as Igbo, whose name contains one), but they also appear in some languages of New Guinea. I’ll freely admit I don’t have the slightest idea how to pronounce them. These two sets of sounds are kind of like mirrored reflections of each other. Ejectives are always voiceless, implosives always voiced, and you can have either of them at just about any point of articulation. About the only difference is that you can have ejective fricatives and affricates. What they are is hard to describe, if I’m honest, so I’ll leave that to the experts. Both are somewhat rare as phonemes. Ejectives pop up mostly in indigenous languages of the Americas, as well as East Africa, though the Caucasus (e.g., Georgian) is full of them. Implosives tend to be found in sub-Saharan Africa, with scattered occurrences elsewhere. Either one, assuming you can pronounce it, could be a good option for oddity. These aren’t so much phonemes as they are “phonations”: different ways of pronouncing a sound. Again, I’ll refer you elsewhere for the specifics; we’re only interested here with their use in languages. Mostly, creaky voice is closer to an intonation feature than a phonemic one, but a few languages use it as a distinction. Breathy voice (also called “murmured voice”), however, is much more common. It’s the “voiced aspirate” set in Hindi and similar languages. Either one can work for vowels or consonants, and they’re another one of those “if you can figure it out, it might be useful” things. We haven’t even scratched the surface of strangeness in the realm of the phonetic, but this should be a good starting point for your own exploration. Too few conlangs, in my opinion, use these and other “weird” sounds to great effect. Either they ignore them entirely (fair enough, as they’re rare for a reason) or they overdo them. Used judiciously, however, they can impart an alien flavor into an otherwise “bland” language.